The NGO Forum is an initiative of NGOs and was hosted by the African Centre for Democracy and Human Rights Studies (ACDHRS), based in Banjul, The Gambia. The NGO Forum, preceding the 39th Ordinary Session of the African Commission, was held on 6–8 May 2006. Close to 100 NGOs attended the three-day Forum. 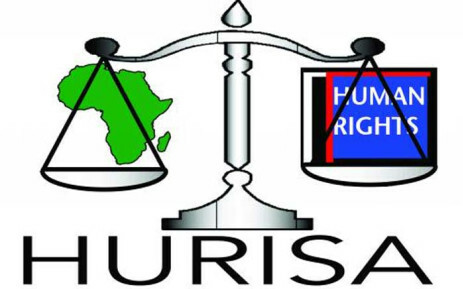 The NGO Forum covered a variety of thematic and contemporary human rights issues prevailing in Africa. On the first day, participants discussed the human rights situation across Africa, with specific focus given to the human rights situation in Zimbabwe, Coté D’Ivoire, Togo, Liberia, The Gambia and Sudan. In addition to the input made by civil society groups, commissioners that attended, made presentations on specific areas of expertise. For example, Commissioner Rezag Bara spoke on the work of the African Commission on Minorities and Indigenous Peoples’ Rights. The second day was dedicated to new challenges and opportunities for the promotion and protection of human rights defenders in Africa. The discussions highlighted the continuation of the difficult and unpredictable environments that human rights defenders are exposed to on a daily basis, in their attempts to bring stability to different African countries. Presentations were made by the Special Rapporteur on Human Rights Defenders in Africa, Commissioner Reine Alapini-Gansou, as well as representatives from civil society organisations, i.e. Ms Barcia (ISHR) and Mr Sivieude (FIDH). The second day also gave an opportunity for various special interest groups to update the participants on a range of human rights topics/issues. The situation of refugees and IDPs in Africa, the African Court on Human and Peoples’ Rights, freedom of expression in Africa, and the status of women’s rights in Africa, were amongst the topics presented and discussed. After this update session, participants were divided into different Working Groups to discuss a specific topic in more depth. The third and final day of the NGO Forum was devoted to networking for human rights in Africa. Mr Moetsabi from MISA made a presentation on networking and the role of the media in human rights work. The day ended with the adoption of various resolutions by the NGO Forum to be presented at the 39th Session of the African Commission.